The U.S.’s McChrystal was present there also as were Israeli Chief of General Staff Lieutenant General Gabi Ashkenazi and Pakistani Chief of Army Staff General Ashfaq Parvez Kayani. Beforehand the bloc’s website reported that “The various meetings will focus on the progress made in ongoing operations and the New Strategic Concept for NATO.”  That 35 top military commanders from non-NATO countries were present to hear plans for the escalation of what is already the largest war in the world is understandable, as their forces are on the ground as part of a 50-nation plus force under NATO military command. That the same conference discussed the bloc’s 21st century new global military doctrine – former U.S. secretary of state Madeleine Albright delivered an address on the topic – raises the question of how many of the 35 partner states’ military chiefs may have joined their 28 NATO colleagues for that phase of discussions. That such a high percentage of the world’s leading military commanders attended a two-day affair which deliberated on both the war in South Asia and the expansion of the world’s only military bloc’s activities even further outside the Euro-Atlantic area (when it has already conducted operations in four continents) confirms that the Afghan war serves more than one purpose for the West. It is the laboratory for strengthening military ties with nations on every inhabited continent and for building the nucleus of and foundation for a potential future world army. The London conference on Afghanistan, presented in the West as a benign undertaking tantamount to an economic development or humanitarian aid planning event – the conference’s website described it as “The international community [coming] together to fully align military and civilian resources behind an Afghan-led political strategy”  – was preceded by two days of meetings between top military commanders of almost a third of the world’s nations at NATO headquarters and followed by two days of meetings by NATO and allied defense chiefs this week. Many of the same people – EU foreign policy chief Baroness Ashton and the UN’s Eide (who formerly occupied comparable posts in Bosnia and Kosovo and was Norway’s ambassador to NATO from 2002 to 2006) – attended both the London conference and are attending the Istanbul NATO defense ministers conclave. 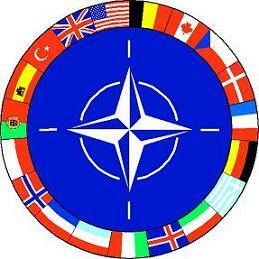 If any further evidence was required that the United Nations is at the service of NATO and not vice versa, that the EU is NATO’s civilian valet de chambre, and that all three are subordinated to the United States, the last week’s events and the roster of attendees at them should suffice. The two organizations based in the Belgium capital, the “military alliance of democratic states in Europe and North America” (NATO’s self-definition) and the “European military superstate” (Irish opposition parties’ reference to the effects of the Nice and Lisbon treaties), are afflicted with political echolalia, parroting the U.S. position on conflicts armed and with the potential to become so around the world – Afghanistan, Iraq, Georgia-Russia, Georgia-Abkhazia, Georgia-South Ossetia, Russia-Ukraine, Kosovo, Bosnia, Somalia, Yemen, Colombia, Myanmar, Sudan, Chad, the Central African Republic, North Korea, Zimbabwe, Israel-Lebanon, Lebanon-Syria, Israel-Palestine, Macedonia, Ivory Coast, Djibouti-Eritrea, Transdniester and all those to come – with truly impressive fidelity in this otherwise inconsistent age. Permanent Security Council members Russia and China may occasionally – all too occasionally – block hostile Western actions against defenseless third parties in the United Nations, but Washington always walks away with a mandate and the final say in the selection of viceroys to complement U.S. and NATO military forces on the ground in subjugated nations. That bears repeating. The apprehension in the U.S. of a Nigerian national alleged to have been trained in Yemen led the head of state of the United Kingdom to summon representatives of the Group of Eight (Britain, Canada, France, Germany, Italy, Japan, Russia and the U.S.), the Gulf Cooperation Council (Bahrain, Kuwait, Oman, Qatar, Saudi Arabia and the United Arab Emirates), Egypt, Jordan – but not the Arab League – Turkey and the European Union, United Nations, World Bank and International Monetary Fund “to bolster Yemen’s fight against al Qaeda….”  Soon 50,000 non-American NATO troops will be bogged down in Afghanistan because the bloc invoked its Article 5 collective defense provision in 2001…to fight against al-Qaeda. Ever-compliant UN Secretary-General Ban Ki-moon lent legitimacy to this American and British charade, as he did the following day’s Afghan conference where he delivered a speech in the presence of 28 NATO and perhaps dozens of its International Security Assistance Force non-member states foreign ministers. Yemen has joined the former Yugoslavia, Afghanistan and Iraq as a target for Western “assistance and stabilization.” NATO will conduct more planning sessions with scores of military chiefs and defense and foreign ministers and not only for the war in Afghanistan.